In the data center world, aside from maximizing uptime, there is always a focus on using less energy and spending less money. Large centers often set the tone for how this can be achieved because if it can be achieved on a large scale, it can frequently also be achieved in smaller scale facilities. It is especially important to focus on these areas in large data centers because by reducing energy use it can dramatically improve expenditures, freeing up money in the budget. Implementing an effective Uninterruptible Power Supply system is incredibly important and a good one can be the lifeblood of a data center – providing necessary backup power in the event of a power failure. A UPS system is only as good as its batteries, if the batteries do not work, the whole system will not work. Microsoft has recently implemented the use of new batteries in their facilities that are dramatically cutting costs. 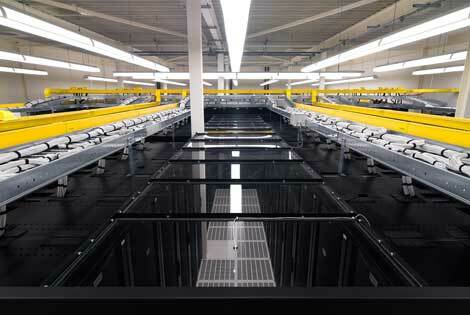 Data centers, whether large or small, go through a lot of batteries to power their UPS system. Batteries must be checked often and replaced as needed to ensure that when the system is needed during a power failure, they will be able to provide the necessary support. TheNextPlatform describes how traditional batteries function, “In a traditional datacenter design, companies deploy uninterruptible power supply, or UPS, systems that are giant banks of lead acid batteries. The UPS provides power to the servers, storage and networks if there is a short glitch in the power feed that might otherwise cause the machinery to fail or reboot. The UPS sits in between the high voltage feed coming into the datacenter from the electrical grid substations and the server and storage machinery that runs at a much lower voltage inside the datacenter.” Microsoft continues to move toward innovation within the technology industry by implementing the use of lithium-ion batteries in their UPS systems. By making the switch, Microsoft reduces the need for a large equipment room footprint to house UPS systems which saves space and utilities for cooling and energy. PCWorld elaborates on the advantages of the switch Microsoft has made, “The LES can replace traditional UPSes (Uninterruptible Power Supplies) for providing backup power to servers and other IT gear, Microsoft said. A UPS is designed to kick in fast if there’s an interruption to the main power, keeping equipment running during the seconds it takes for a diesel generator to start up and take over. Traditional UPSes use lead acid batteries, but they’re bulky and require a lot of maintenance. Microsoft says its lithium-ion battery system is five times cheaper than traditional UPSes, factoring in the cost to purchase, install and maintain them over several years. They also take up 25 percent less floor space, because they’re installed directly within the server racks… The batteries are hot-swappable, meaning they can be replaced without shutting down servers, and LES is suitable for data centers of all sizes, Harris said, including a data center closet with only a few servers… Microsoft isn’t the only company using lithium-ion batteries for backup power. Facebook submitted a somewhat similar design to the Open Compute Project last year and is using that in its own data centers. “The inflection point has just happened in the industry where lithium-ion is cheaper to deploy than lead-acid for a data center UPS,” Matt Corddry, Facebook’s director of hardware engineering, said last year.” With such massive forces in the technology industry proving the advantages of switching to lithium-ion, many data centers of all sizes are sure to follow in their wake. This entry was posted in Back-up Power Industry, Data Center Battery, Power Management, Uninterruptible Power Supply, UPS Maintenance and tagged Emergency Power Systems, Uninterruptible Power Supply, Uninterruptible Power Systems, UPS, UPS Batteries, UPS maintenance, UPS Systems. Bookmark the permalink.